A bill to replace voter-approved Medicaid expansion moves forward despite a "no" vote from its House sponsor. 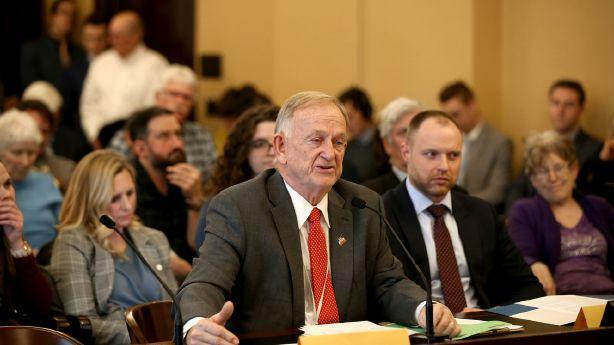 After historic changes in San Juan County, freshman Utah Rep. Phil Lyman says it might be time for a portion of the county to split away. And lawmakers endorse deleting language from the Utah constitution allowing slavery as a form of criminal punishment. At 9 a.m. on Friday, Salt Lake Tribune government and politics editor Dan Harrie, reporter Bethany Rodgers, and columnist Holly Richardson join KCPW's Roger McDonough to talk about the week's top stories. Every Friday at 9 a.m., stream "Behind the Headlines" at kcpw.org, or tune in to KCPW 88.3 FM or Utah Public Radio for the broadcast. Join the live conversation by calling (801) 355-TALK.